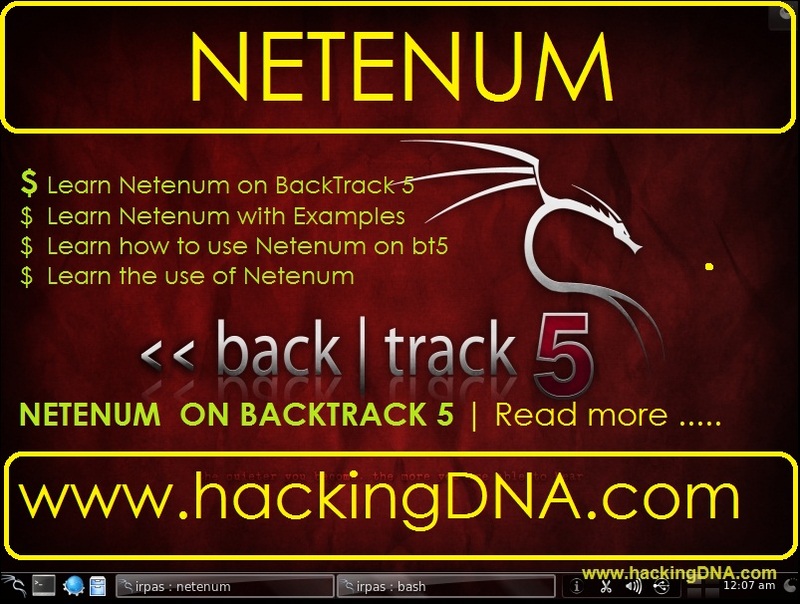 Netenum is the simple ping sweep and enumeration tool . 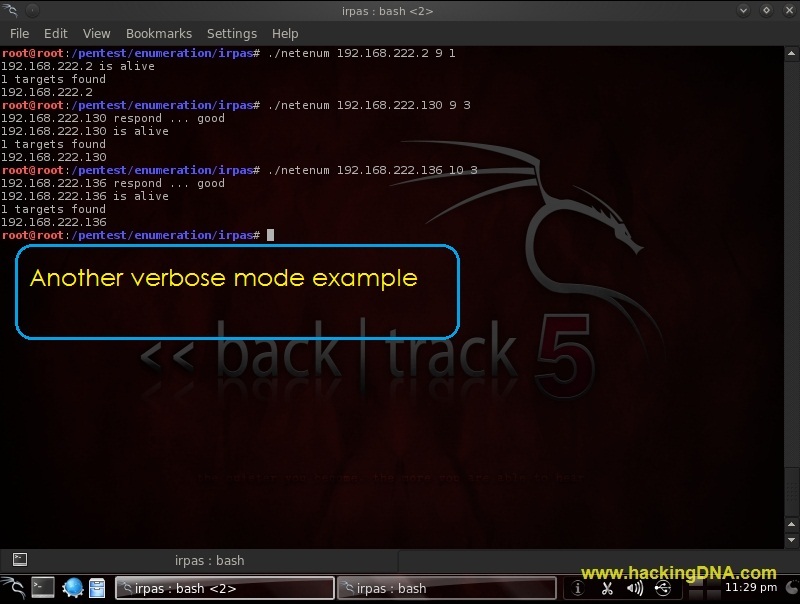 In the output it gives the list of hosts that are up in the network . In Netenum , when we give the timeout , it uses the ICMP Echo Request to find out the number of hosts that are up in the network . And if you don't apply a timeout , it just print the Ip Address . considering that the target is down. 2. verbosity :- defines the verbosity level from (0 -3) and its Default value is 0 . 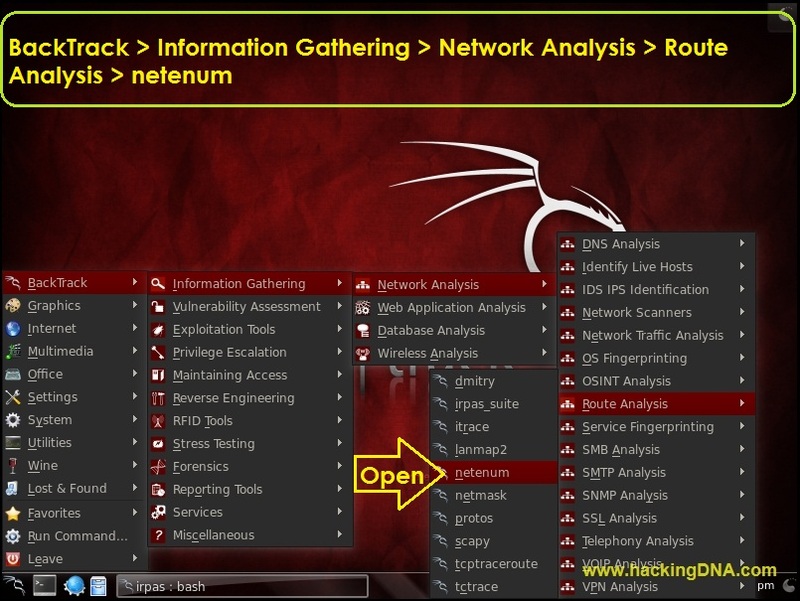 Example of a Quick scan of a network . 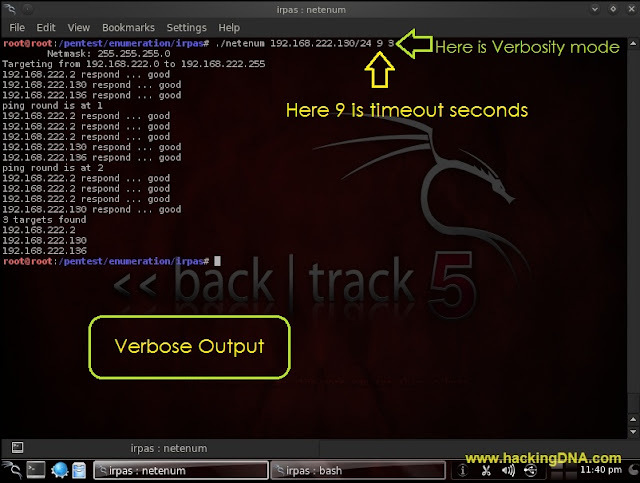 In this example we use both the timeout and verbosity options. This is how we use this simple tool. Its a good tool with less options . But moreover useful in some situations. I hope you like this tutorial . If you have any questions , drop in the comment box .